The development of these two new Loft condominium buildings will anchor the corner of Arlington, Virginia’s Clarendon Boulevard and Pierce Street. Linked by a visually prominent pedestrian connection, the project unifies the site without overwhelming an adjacent residential neighborhood and hillside park. 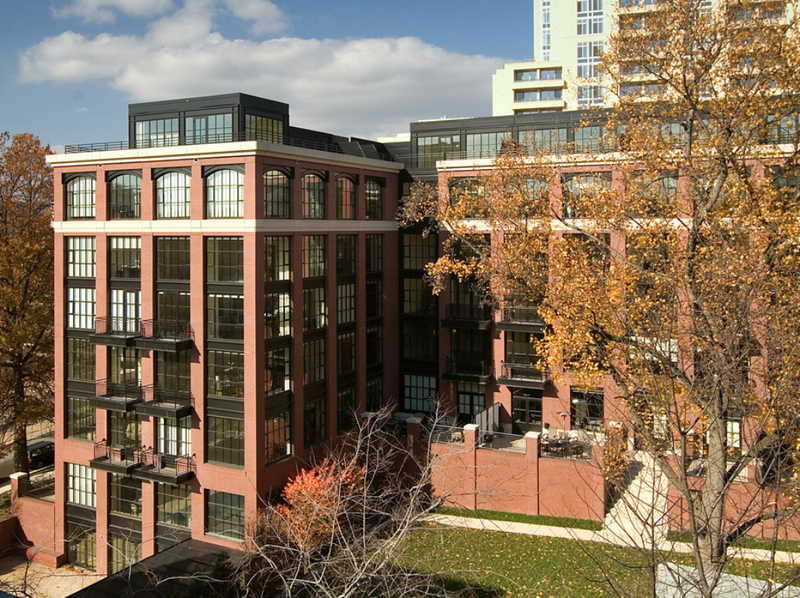 The brick, glass and metal buildings are designed to evoke images of traditional warehouse structures, while providing owners with modern amenities. 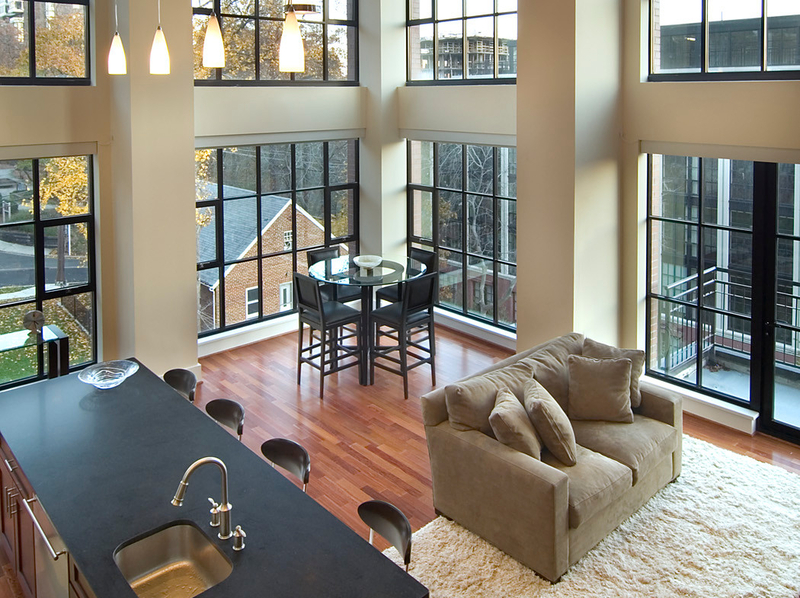 Typical units feature 10-foot high ceilings, with 17-foot high mezzanine lofts. 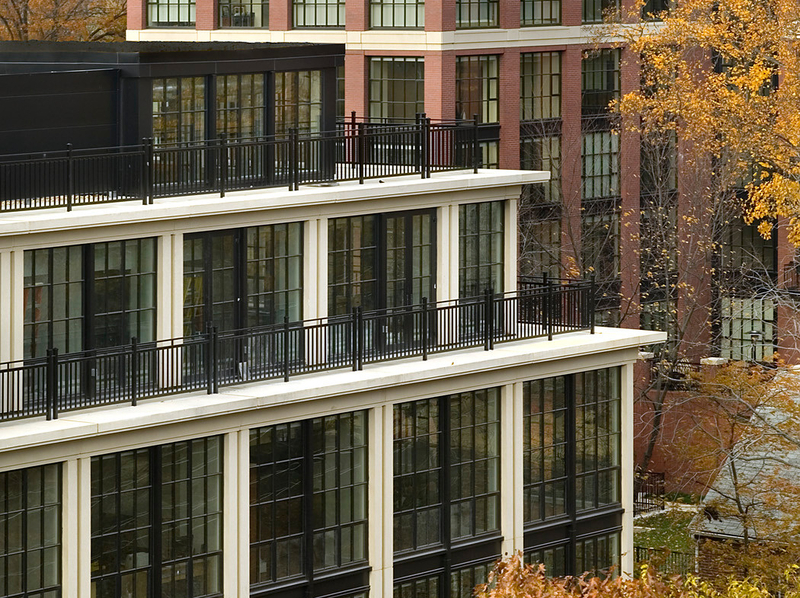 Penthouse units contain 21-foot tall living spaces and private roof terraces. 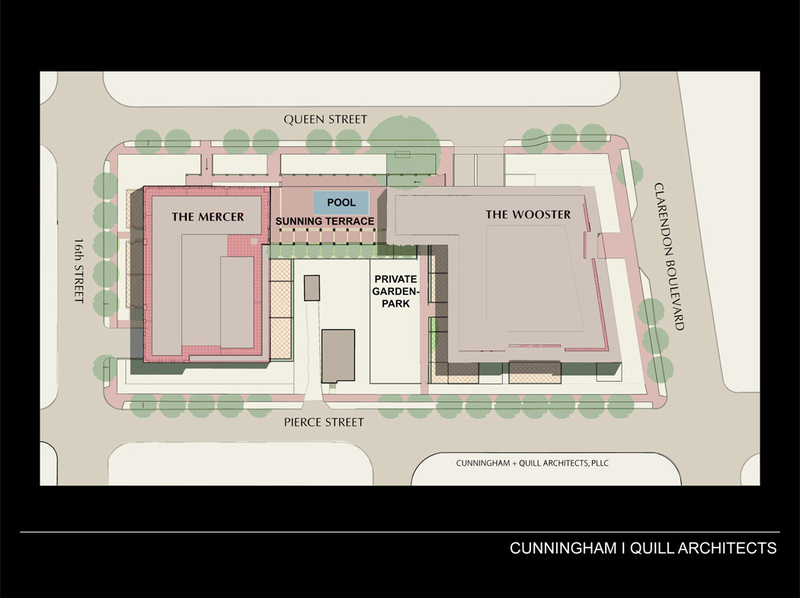 The project includes an inground swimming pool and terrace with private underground parking. 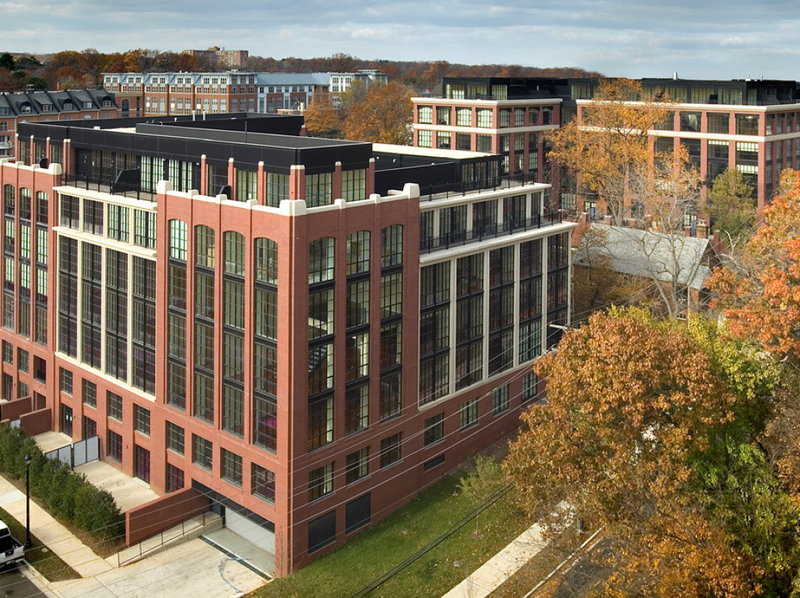 The project seeks to integrate with its surrounding context, while bringing a new type of upscale residential development to this vibrant Washington, DC suburb. Ms. Brandrup was part of the design team working as Senior Project Architect for this exciting project while at Cunningham Quill Architects in Washington DC.